Imagine you are a small scale rain-fed farmer. 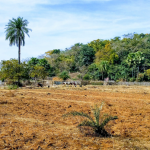 This means that you have less than 2 acres of land, and rely solely on the monsoon to water the crop. 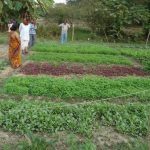 Traditionally you have been growing chemical dependent ground nut like all the other farmers around you, but this season you have diversified to growing intrinsically organic millets inter-cropped with legumes on some of your land. You have heard in the media about the health benefits of millets and how the demand is increasing. 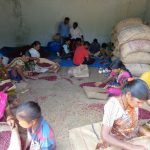 Come harvest time you have several hundred kilograms of millets threshed and bagged for sale. You approach a local merchant who offers you the lowest rate because of in spite of threshing quite a bit of stalk and seed head, aka “agro-waste” remains to be cleaned. Along with sand, dust, even stones and mud balls. You sell because it is not economically viable to hand clean the grain. Now consider as a farmer, whose sole income is from your annual harvest, are you going to again plan to grow millets next season ? Are you going to encourage other farmers to grow ? 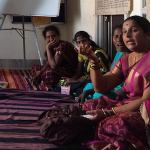 2018 has been declared the “Year of Millets” but where is the solution to address this core piece of the value chain puzzle? Last year, M.N. 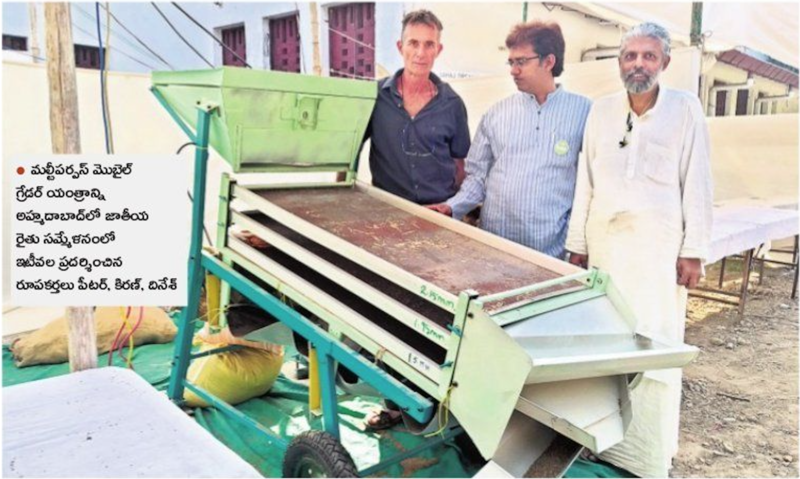 Dinesh, who has spearheaded millet awareness efforts in AP for two decades and established Earth360 millet processing unit in Kadiri, Anantapur District, teamed up with Peter Bakos who has been with AID since 1999 and has extensive experience in building machines and in farming. 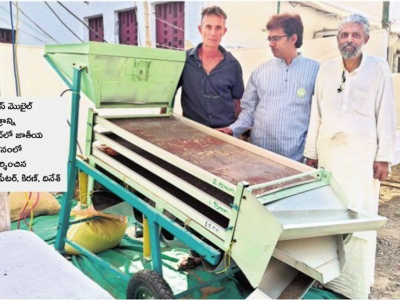 Together, they launched the Millets Machines and Tools and have been joined by Kiran Vissa, who has led AID efforts in sustainable agriculture for a decade. 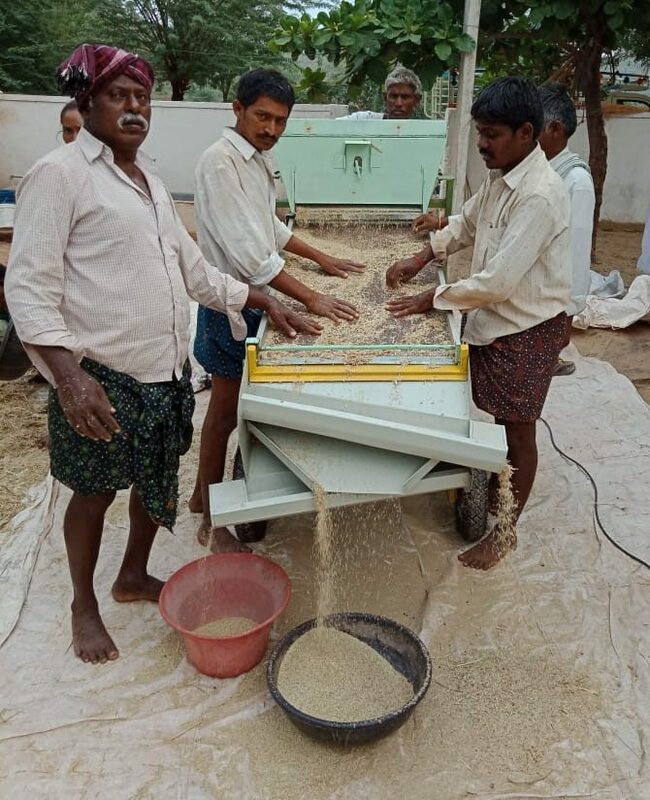 With support from the Association for India’s Development, this dream team has investigated and documented issues the farmers and processors face, interacted with machine fabricators, designed prototypes and tested them in field conditions. The result: a portable grader that cleans the grain at the farm gate. 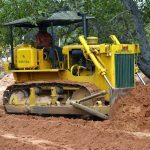 “A simple tool to help farmers get a better income from their sweat and toil,” as Peter calls it, the Mobile Multi-Deck Grader is machine that cleans the material according to size. Large agro-waste is separated on the upper deck, small grains fall to the lower deck and are guided into a separate container. The good grain slides through the middle deck and collects in its own container. Dust falls through all three levels and settles below the machine. Ergonomically powered by a half horse-power motor the machine runs via AC single phase, 3 phase or DC Solar. It has an ergonomically positioned hopper that can be manually loaded with grain whose flow on to the grading deck can be adjusted according to material to be cleaned. There are a total of 5 material collection ports and screens can be interchanged according to material size. This also enables the farmer to separate the best grain for the following year’s seeds. Its mobility enables it to be taken right to the farm gate so that the “agro-waste” remains to enrich the farm and only cleaned quality grain is transported to market for sale at the highest rate. The cost of the machine is Rs. 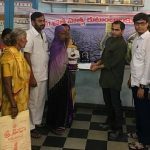 50,000 and farmer co-operatives in T.N. 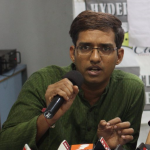 , Karnataka, and A.P. have started buying. 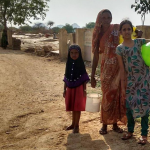 Farmers who had been getting Rs. 20 / kilo for their harvest are now able to get Rs. 24/kilo for grains that they have cleaned using the multi-deck grader. The interchangeable screens mean that this machine can be used for a wide variety of crops – grains, legumes, seeds, and even spices. Concerned people like you make this work possible. Please invest today for a brighter tomorrow. 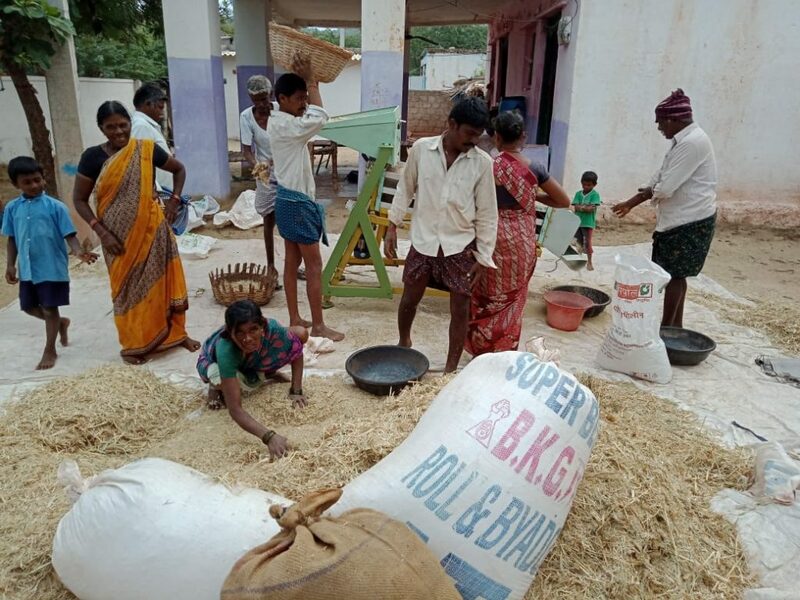 Farmers clean their harvest of brown top millet.